In late December, 2018, the California Air Resources Board (CARB) announced a new Innovative Clean Transit (ICT) regulation: starting in 2029, new transit buses purchased in California will be zero-emission vehicles. 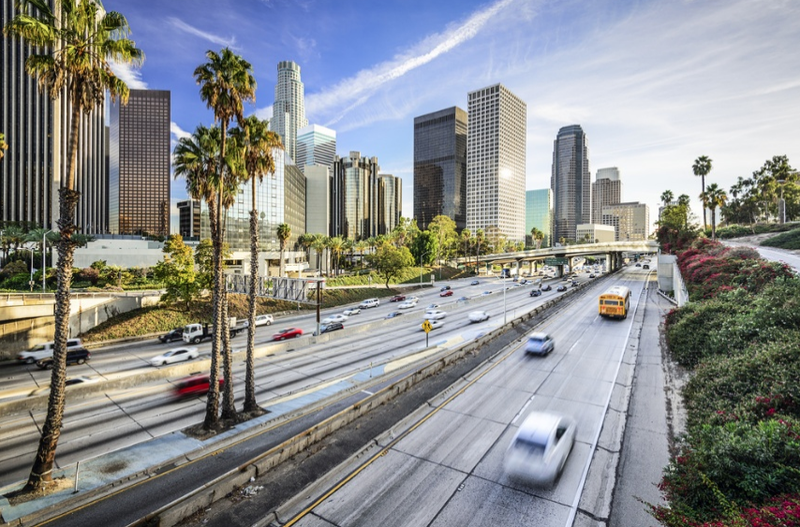 The statewide effort recognizes the gravity of the situation: in California, transportation currently accounts for 41% of state-wide emissions, and 80-90% of smog-forming pollutants. Through the ICT regulation, California expects that 100% of all public transit buses in the state will be zero-emission by 2040. For California transit agencies, the planning phase begins soon. According to the ICT regulation, each agency must submit a rollout plan within the next four to five years. The plans must go into detail—explaining the type of zero-emission buses the agency will employ, how the necessary infrastructure will be built out, and how the workforce will be trained. The question is: Battery electric or fuel cell electric buses? Or both? The central decision is the choice of zero-emission technology: fuel cell electric buses (FCEBs) or battery electric buses (BEBs)—or a combination of both. In most cases, the decision will be based on the routes served (how long, how flat or hilly); the existing infrastructure (electrical capacity and/or CNG refueling facilities in place); and the bus depot constraints. run longer before refueling, making them the preference for longer routes, and routes with many stops. In many situations, fuel cell electric buses can replace diesel buses with no route modifications. climb hills with no degradation in performance, making them the choice for routes with many hills or steep grades. perform consistently in heat and cold, powering AC and heaters easily, and maintaining performance in winter or during a hot summer day. 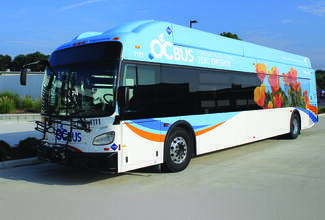 FCEBs can be refueled in minutes, reducing the impact of refueling on busy bus schedules. Hydrogen refueling stations can be installed in existing bus depots, especially where CNG or diesel refueling islands are already in place. Hydrogen refueling requires less electrical power than what’s needed to recharge BEB batteries. Hydrogen may be preferred where the electrical grid is distant, or where it lacks adequate capacity to deliver enough power to continually recharge a fleet of buses. To learn how hydrogen can help California achieve decarbonization, see: A Resilient and Scalable Decarbonization Strategy for California Transport. perform best on shorter routes with moderate schedules and passenger loads. As batteries discharge, performance declines—but on shorter, lighter-duty routes, BEBs perform well. perform best on flat roads where steep grades won’t stress performance. suit flexible recharging times that can be accommodated in route planning and scheduling, such as school or commuter buses. require recharging roadside infrastructure that must be accommodated in route planning and scheduling. have lower cost charging infrastructure for smaller fleets, or where the local grid has ample surplus capacity. For a closer look at BEBs and FCEBs, see How to Meet California’s Innovative Clean Transit Regulations. For over a decade, zero-emission buses have been in daily use. Transit operators looking for insight and guidance would do well to learn from operators that have been through the transition from conventional fuels to fuel cells. These interviews provide key insights on how to transition to a zero-emission fleet, and what to expect as you do so. We at Ballard, see CARB’s new ICT regulation as a victory for a cleaner, healthier future. California’s experience demonstrates the power of a strong regulatory framework, when it is supported by an industry with realistic solutions. In the coming years, California transit users will breathe cleaner air and enjoy reduced noise pollution. By 2050, transit agencies are expected to save $1.5 billion in maintenance, fuel and other costs. And California will experience a boost in employment opportunities and high-quality manufacturing jobs. Across the world, the public has shown it’s ready, even eager, to make the transition to zero-emission vehicles. We congratulate California on its leadership in introducing new regulatory frameworks that are guiding communities toward a cleaner, more sustainable future.